Jenifer and Vincent actually live in California together but seem to be world travelers. 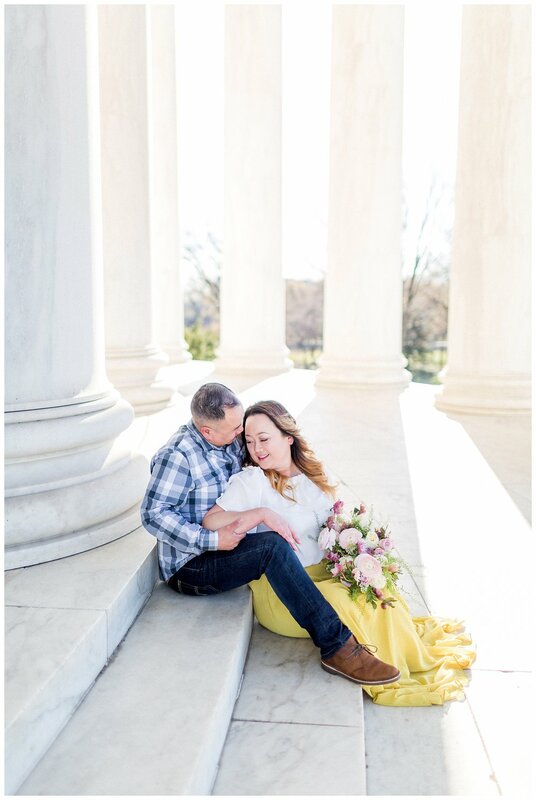 These two got engaged in Mexico and were in D.C visiting family this March when they decided to snap engagement photos! 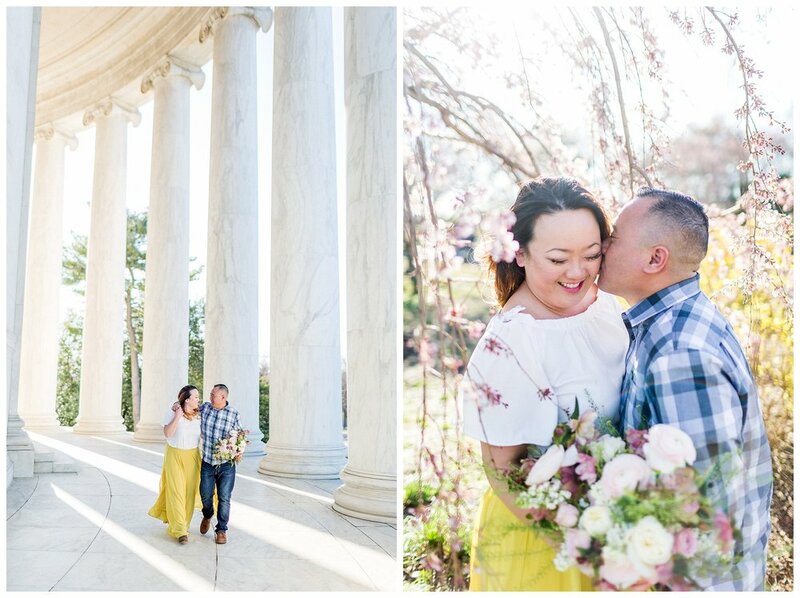 They missed the Cherry Blossoms by one week but were determined to get some classic District of Columbia engagement pictures when they were in town so we woke up at sunrise and were met with 30 degree temps and crazy wind! Although this couple seems to be beach enthusiasts, they did fabulously in the cold! Jenifer actually works in the wedding industry and is a florist! Her company Peonies & Petals does stunning work and she created this bouquet from Potomac Wholesale Flowers from scratch the night before this shoot! I can’t wait to see all the floral magic she creates at her very own wedding! 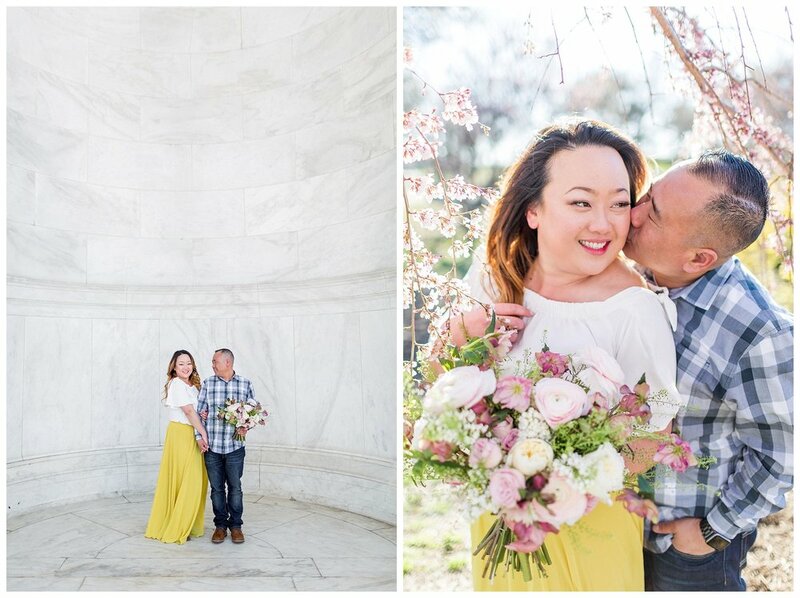 Here are my favorites from the morning at the Jefferson Memorial.